It’s Tuesday! That means yesterday was meatless Monday in the Pyne house. This is quickly becoming one of my favorite days for experimenting in the kitchen. Last night’s menu? 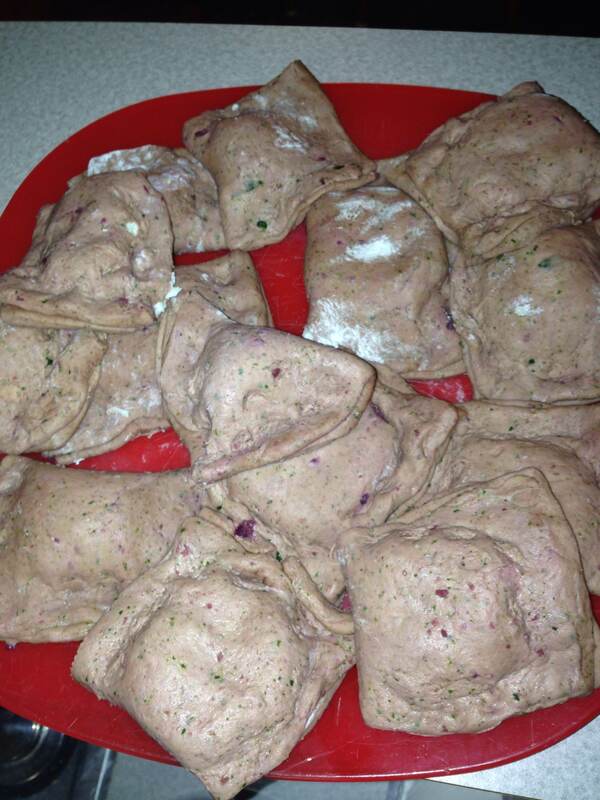 Red Beet and Spinach Ravioli with a creamy garlic sauce. The outcome? Delish. One child and husband approved. It’s going on the “make-again” list! 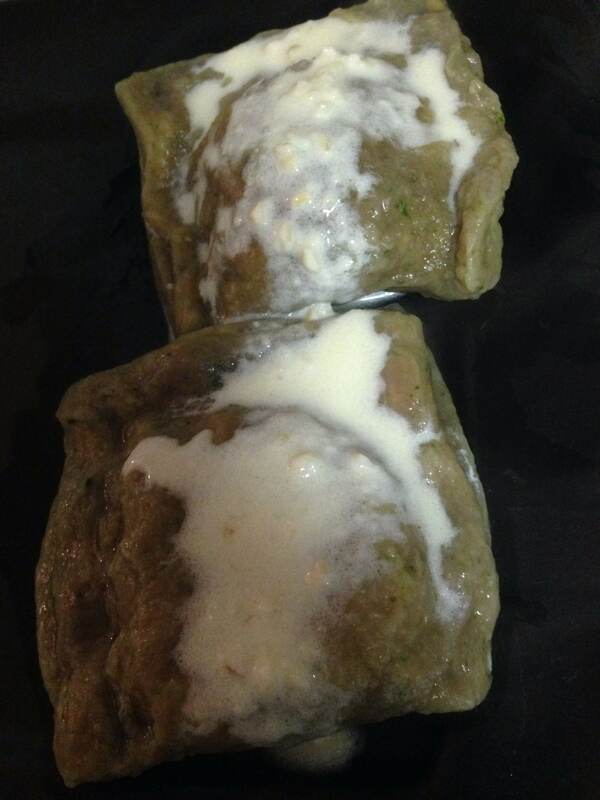 They may not look like the most amazing culinary masterpieces, but the taste overrode the rest. Try them out! 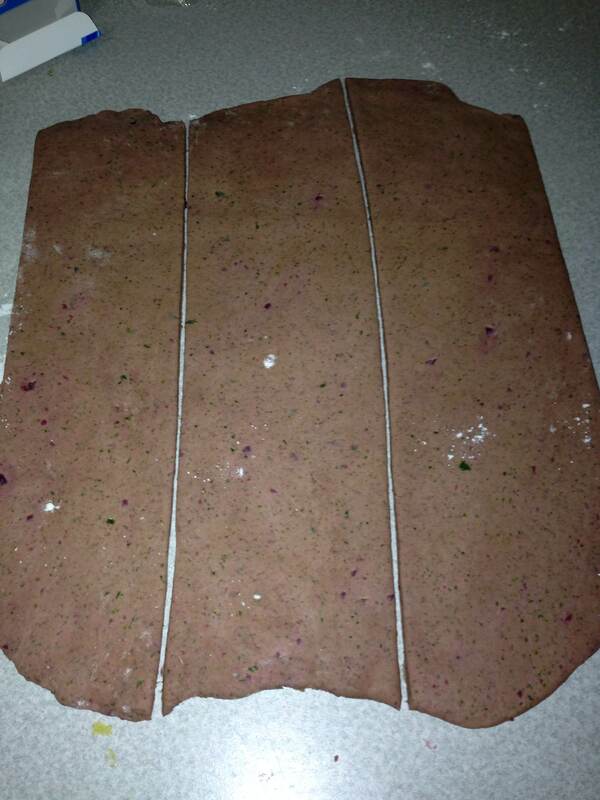 In a separate bowl, mix the flour and salt, then add the beet and spinach mixture. Knead until a target dough consistency is met…add additional water or flour if needed. Cover and allow the dough to rest for 1-2 hours. Combine the cheeses, oregano and 1/2 tsp salt in a separate dish. When the dough has finished resting, roll it out onto a floured surface to about 1/8 an inch OR thinner. The thinner the better. 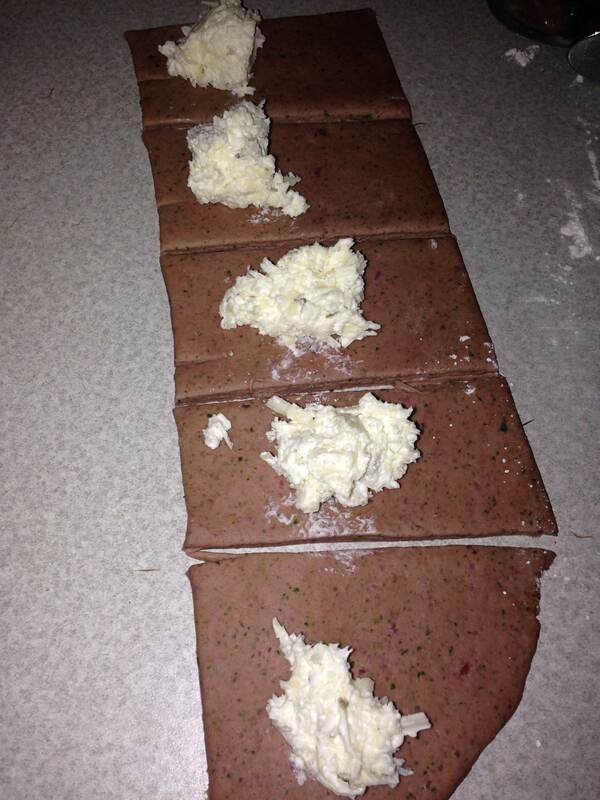 Slice the dough with a pizza cutter into wide strips (seen below in image A). Drop teaspoonfuls of filling into the strips about an inch apart, then slice between drops (image B). Fold dough over the mounds and press the edges together (Image C). Drop the raviolis into the water. When they float, remove them (about 3-5 minutes). In the meantime, combine melted butter, garlic and milk to make the cream sauce. Pour this over the ravioli and serve hot.